Travel back to the 1800′s and tangle with ornery town marshals, Indians and schoolmarms who are anything but docile. Willow Creek may be a sleepy little frontier town but the characters who live there are as untamed as the land itself! Sarah Hartford always dreamed of a grand adventure. She just never expected to find it in the arms of an outlaw. When her father’s bank is robbed, Sarah doesn’t make the gunslingers’ escape easy. Putting her own safety behind those she hopes to protect backfires when she’s kidnapped by one of the escaping men. Now her only hope for survival lies with the same arrogant man who laughed at her while staring down the barrel of her gun. Colton Avery spent months planning the perfect heist, every detail fine tuned and executed with precise timing. Nothing could go wrong. That is until he comes face to face with a determined woman holding a shotgun. She aimed at his head and never flinched when she took a shot at him. He wanted her the moment the smoke cleared and he saw her face. Robbing the bank, and handing over the gang of notorious outlaws to US Marshals, would be routine and boring. Sarah Hartford made it anything but. Taming the woman who stole his heart the instant he saw her was a challenge he was more than willing to take on. 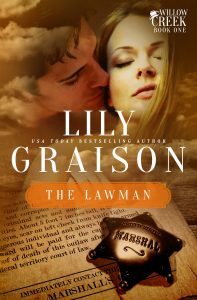 All he has to do now is escape the gang of outlaws he just double-crossed, hideout from an Indian raiding party and elude the town marshal who just happens to be his little hellion’s new fiancé. Emmaline Hunt only had one thing she could call her own. A piece of land that held a secret not even her drunken stepfather knew about. 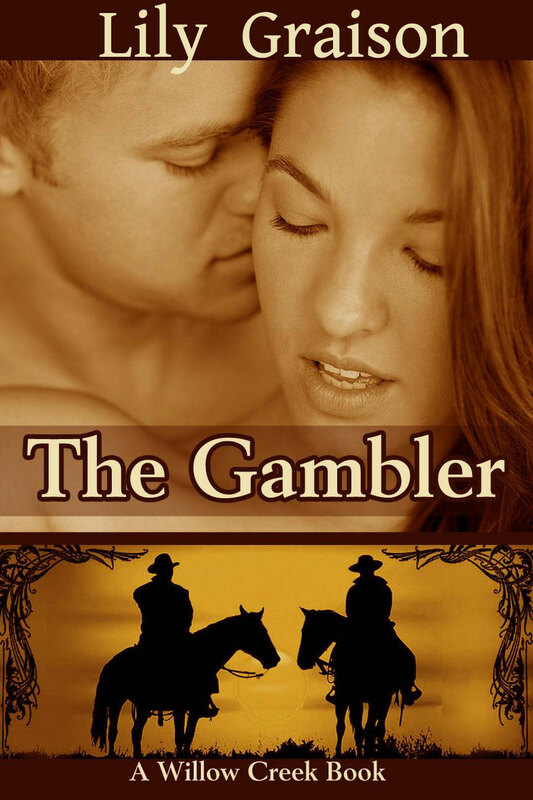 When he gambles it away in a high stakes poker game, Emmaline does the only thing she can. She tries to steal the land deed back. Tristan Avery has seen his share of bloodshed while sitting at a gaming table and knows its time to lay low when he wins a wad of cash and a piece of land. Especially after his opponent ends up dead at his feet. High tailing it out of town is his only option but things take a drastic turn when he finds a woman in his hotel room trying to rob him blind. The botched robbery attempt is only the start of his troubles when Tristan finds his new land occupied by the same girl who tried to rob him. When he realizes he’s left her homeless, and killed her stepfather, his conscience forces him to do the right thing. Taking her to his hometown and setting her up with a new life will make up for all he’s taken from her. But Emmaline has other plans. She wants her land, and Tristan’s money, and she’ll do whatever it takes to get them. All she has to do is convince him she’s there to stay, outwit him, find a way back home and not let a single soul know she has a gold mine bursting at the seems with untapped wealth. Laurel Montgomery wanted a new life, one that didn’t include a man. She’d had enough of their pretty lies and broken promises but one night of reckless abandon weeks before taking a job as the new schoolteacher in Willow Creek would come back to haunt her. The man she thought to never see again turns out to be the father of one of her new students. A man so handsome and rugged he takes her breath away. Too bad she’s sworn off men forever. If only the stubborn man would take no for an answer. Holden Avery was love-struck the moment he saw Laurel Montgomery and cursed himself for a fool every waking minute since letting her walk out of his life. When she turns up in Willow Creek he’s handed the second chance he didn’t think he’d ever get but thoughts of pursuing Laurel are cut short when a stranger shows up in town. A man who claims to be Laurel’s husband. The happily ever after Holden thought to finally have is plagued with obstacles but he sets off to prove he’s the man Laurel wants. Convincing her to give him a chance is nearly impossible but he’s waited too long to find her to give up now. One way or the other, Laurel Montgomery would be his wife. Are there going to be more books in The Calling series. I really never read this kind of book before but read the 2 and would love to read more. And the Willow Creek series I have read at least twice. Are there any more coming also. Will you write a book about Keri finding her brother Peter Davis from A Willow Brook Christmas. Reading for second time. Love this story. Noah and Keri’s story is my favorite so far. I would like to see yet another story in this series with with Alex and Jesse. Alex and Jesse’s story is coming soon! The story is titled, Wild Horses and I’m hoping for a February 2016 release.